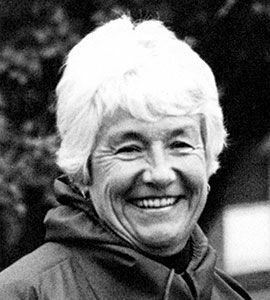 “Clear the pitch, ladies!” was Coach Alix Fellows' call to action for 42 years at St. Agnes and St. Stephen’s and St. Agnes. She grew up in Ireland, raised five boys, and started volunteer coaching field hockey at St. Agnes School in 1974 so she could spend time with girls. In the spring of 1975, Coach Kathy Jenkins was starting a lacrosse team and asked Coach Fellows if she knew how to play. Coach Fellows, who had played in high school and started her college team, coached the fundamental lacrosse skills while Coach Jenkins focused on the team strategy using basketball tactics.